Think you know everything about this super food? Think again! 1) A whole, medium-size avocado has 226 calories and contains about three grams of protein and nine grams of fiber. 2) More than 80% of an avocado’s calories comes from fat, most of which are healthy, monounsaturated fats. One of those fats—oleic acid—has been shown to reduce cholesterol levels. 3) While the banana is most famous for potassium content, a typical avocado contains 35% more potassium (684 milligrams vs. 505) than that of its long, yellow cousin. Avocados are also a decent source of calcium and magnesium, crucial electrolytes for athletes because of their role in muscle function and fluid balance. 4) Every avocado contains nearly 20 vitamins, minerals, and phytonutrients—nutrients derived from plant material that provide a defense against cancers, heart disease, and signs of premature aging. 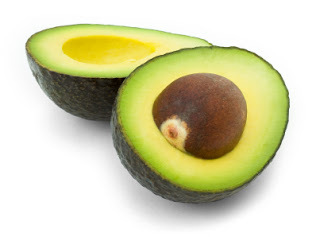 5) Regular consumption of healthy fats like the ones found in avocados has been shown to promote a boost in testosterone and growth hormone production.